Oundle Bowling Club believes bowls is for everyone, regardless of ability, and we encourage the participation of anyone with a disability to play. Bowlers with a disability can compete with, or against, non-disabled bowlers in most situations. Bowls is one of the most accessible and integrated sports readily available to people of all ages. In recent years the sport has become far more accessible to people with disabilities. We have assigned car parking for disabled bowlers and ramp access to the green and clubhouse. With the development of a specially designed wheelchair ‘buggy’, it is possible to deliver a wood from a sitting position. The buggy is designed to prevent damage to the green. The club intends to acquire a buggy during 2018. Other aids are already available, including a bowling arm to assist those who have difficulty in bending to deliver their woods. 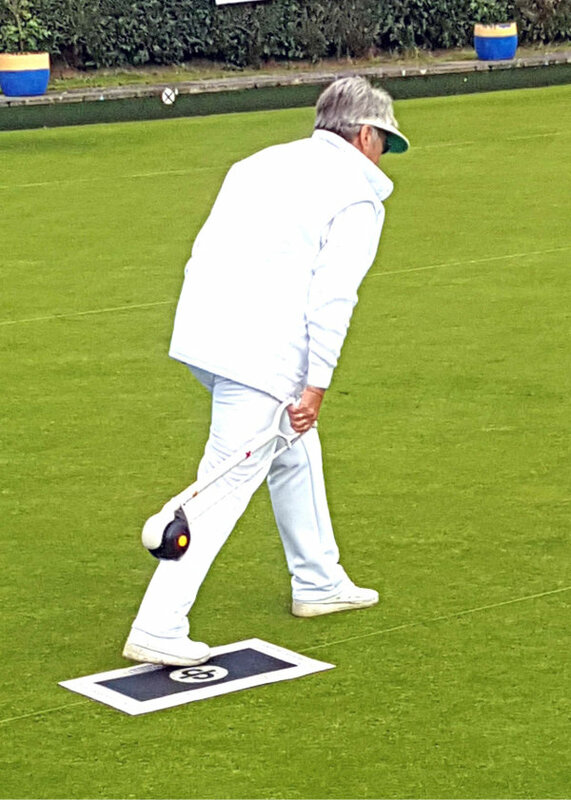 The Club is in the process of applying for the Disability Bowls England Kitemark, which recognises that the Club has passed a comprehensive series of qualifying requirements in order to offer a first-class experience to bowlers with a disability. We hope to achieve this Kitemark during 2018. Also, during 2018, we plan to set up a ‘Bowlsability’ session for bowlers of all ages. Whether you are an existing bowler with a disability or if you have never tried bowls and have a disability, why not contact us? We would love to hear from you, and for you to get involved with Oundle Bowling Club and Disability Bowls England.